Zineb AARAB is a Temporary Professor at the National Institute of Statistics and Applied Economics (INSEA-Morocco). 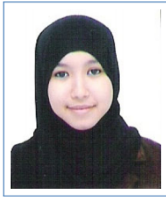 Z. AARAB is a PHD student at Mohamed V university. has an MS in Computer Science and Telecommunications with a major in Advanced Software Engineering and a Bachelor with a double major in Computer Science and Mathematics. Her research interests include Information Systems, System modeling and metamodeling, Business Process Management, Software Engineering and Ubiquitous Computing.